The important thing to understand about choosing a phone for international travel is that it’s not about a specific piece of hardware. It’s about choosing the right combination of hardware, operating system and mobile data plan for your individual needs. If you’re going on holiday, for example, you might want to consider disconnecting for a couple of weeks’ digital detox. That’s one end of the scale. But if you’re a regular and experienced air traveller or a digital nomad, then you need something to stay connected while on the move. So it’s a complex issue, even for the experts! We’ve put together lots of important details in this article, but it’s not too complicated. And like our article about our favourite business travel apps, it will also be a living resource, so we’ll update it as the technology landscape changes. Will my current phone work abroad? Most phones that have been bought on a contract will work when you travel abroad. You’ll be able to physically make and receive calls and browse the internet, but it may come at a price. Even with a data plan that includes international usage, if you go over your limit, the bill could be big. Every phone company charges slightly differently, so if you’re unsure, you should get in touch with them directly to check. If your phone is SIM-only, or pay-as-you-go, then it may not work at all. An unlocked phone just means that it’s not tethered to a particular mobile network. When your phone’s unlocked, it will work with whatever local SIM card you put in it. If you bought your phone through a carrier as part of a contract, the chances are that it’s locked, whereas if you bought the phone outright, it’ll be unlocked. The word ‘locked’ just means that there’s a line of software code on your phone that stops it from being used with other networks. If you’re the DIY type, then it’s possible – if not easy – to take matters into your own hands. But we don’t recommend this for most people. Instead, you can use an unlocking service. This involves paying a third-party company a small fee between $30 and $50, to send you a code to unlock your phone via email. Roaming charges are when your normal network operator detects you’re using your phone abroad and starts charging you more money. You can also be charged just to take calls or listen to voicemails. If you’re someone who accesses the internet a lot through your phone, you need to be particularly careful about roaming charges. They can catch you out, because sometimes the services or apps we use connect to the Internet without us knowing about it. If you live in the UK, however, this may only last until spring 2019, when the country is expected to leave the EU. You don’t need a jetsetter’s budget to afford a perfectly good phone that will do things such as replace your camera and flashlight. But you also want something with enough processing power and memory to stand in as your guidebook (especially when travel apps like these exist). 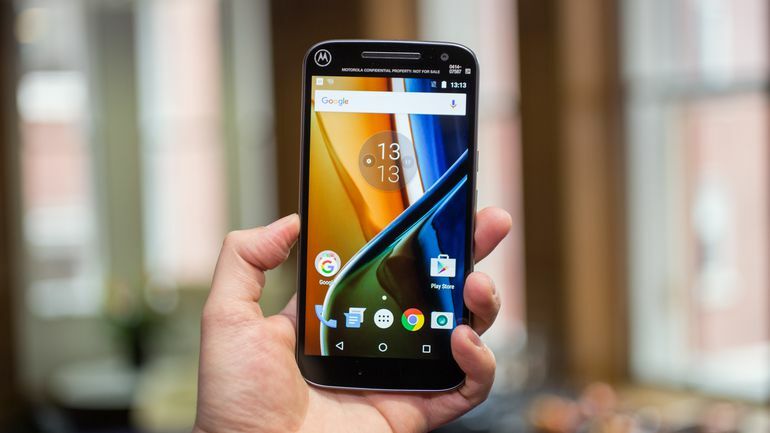 The best budget smartphone is currently the Motorola G4 on, which operates on Android. It’s got a very clean interface and a better build quality than most other phones in its price range. It costs $200 with 16GB storage (half the price of an iPhone SE, but for another $30 you can upgrade to 32GB). The best phone for international travel in 2017, in my opinion, is the OnePlus 3T. It packs all the latest features that rival the flagship devices from Samsung and Google but only costs $450. Apps open at lightspeed and the phone ranks near the top of all the benchmark tests. Anyone who travels wants to be able to take decent photos on the move and the 16MP rear camera on the OnePlus 3T is a solid performer. It’s not the best out there, but if you’re taking photos mainly in daylight, you’ll have no complaints. The colours are accurate, details sharp and because of the 6GB of RAM, it’s easy to take multiple shots with no delays after the button press. The other key feature is Dash Charge – it can go from 0% to 60% in half an hour of charging which is perfect if you’re in the airport and need a boost just before take off. Finally, it packs a dual-slot for 2 x nano SIM cards so you can connect to two networks at the same time. There’s no need to switch out SIM cards or carry two phones. Dual SIM is ideal if you are using a local SIM card to avoid roaming charges, but still require access to your domestic number. Let us simplify this for you. There are dozens of phone tariffs you could choose from, but the one we currently recommend is Google Fi. You’re only ever charged for exactly how much data you use, it comes with great customer service and you can use it in 135 different countries.